On March 2nd we visited Panjartheerthi school where most of the children from our Tuition Center attend school from 1st to 5th standard. Interviewing the new headmaster we understood that most children now attend school regularly after having breakfast at our Center every morning and they are all normally clean and happy. 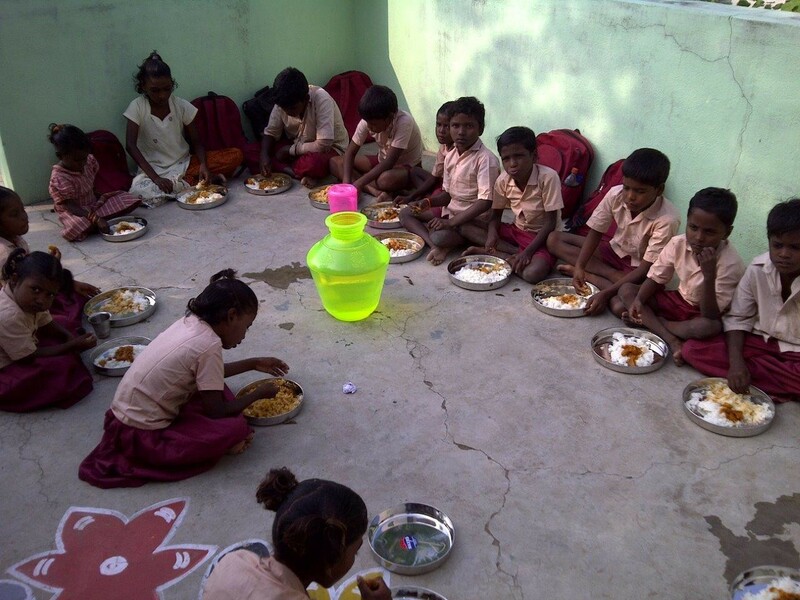 In Panjartheerthi we help about 25 Irular children with the aid of a cook and a very good new teacher that does her job with passion and commitment. 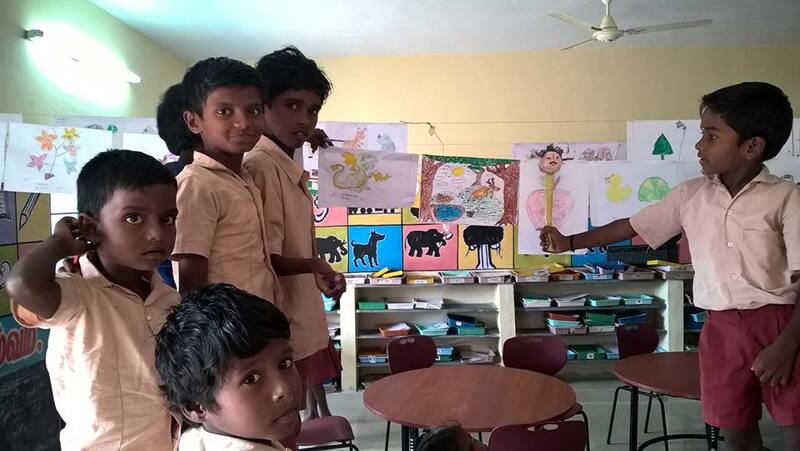 This entry was posted in Children Education, Panjartheerthi village on 06/03/2017 by fulvio. As the new school year just begun, the head master of Panjartheerthi Primary School asked us to support students, mainly Irular children belonging to the nearby community, with a donation of pen, pencils and notebooks. The head master is working in strict contact with our staff to guarrantee a regular presence of the Irular children at school while our special program of bathing and morning breakfast (see post) is running well. 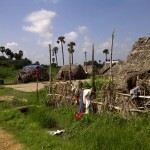 This entry was posted in Panjartheerthi village, School support on 29/06/2015 by fulvio. After eight months since we opened the Tuition Center with Save International, for Irula and Dalit children of Panjartheerthi, we now need to improve children attendance at school: to convince the about 30 children to go to school regularly is the aim of this project. We recently met the Head Teacher of the local school and she is desperate to improve attendance. In order to keep the school open she needs at least 20 children but despite the 35 children enrolled this year (31 of which are Irula), there are only very few children at school when there is a government inspection. She says the children do not come school, often she goes to look for them around the village in the morning. She finds that the children are often not clean and are hungry, sometime away with their parent when they find jobs away from the village. Conditions in the village are very basic. It is interesting that most of the children do come to the existing Tuition Center regularly, perhaps this is because of the daily snack we offer? What else we can offer to encourage better school attendance and improve the lives of these children and their families? We thought that if we offer a place where children can come in the morning, get washed, have clean school uniform and a good breakfast, this may help. Obviously this service will be for the children who do really go to school. We met with the families, parents and children and they agreed to try this service. 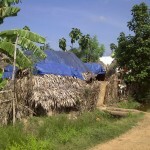 Luckily we soon found a small house to rent very near the Irula village, with a kitchen, bathroom, store room and a small terrace in front of the house where the children can sit and eat. We hired two young women from the same community, one to cook and the other will help the children to wash and dress, both will wash all the school uniforms. 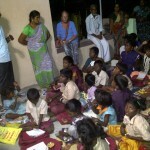 On November 17th we started with 26 children attending the first day. After two weeks the project is a great success. The Head Teacher can hardly believe such a quick change to school attendance. Also because the house is so close to the village we decided to use it to run the afternoon tuition session. We hired a new teacher, Mrs Rajeshwari, and left the other teacher, Megala, to continue with the Dallit children at the other building. The Head teacher, cook, other helper and tuition teacher will work together as a team to provide the service and check the attendance at breakfast and afternoon tuition also match with the daily attendance at school. Our hope is that this service for school children will greatly improve the lives of the families in the Irula community and help them continue to develop new opportunities. 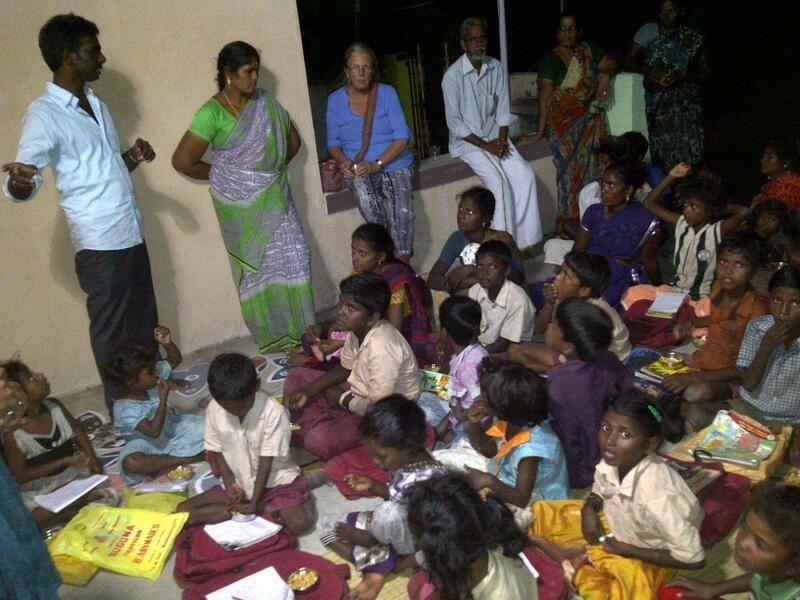 This entry was posted in Children Education, Panjartheerthi village, Tuition Centers and tagged free coaching, free education, free food, help children, malar trust india on 29/11/2014 by fulvio. 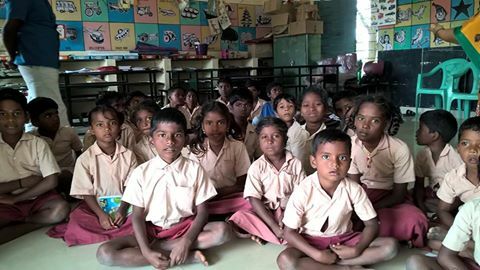 No interest, poor attendance at school and very low marks is the performance of the about 30 Irula kids attending the governmement primary school of Panjartheerthi and secondary school of Manamathi. 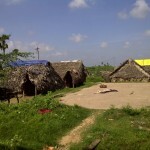 Panjartheerthi is a very small village near Manamathi, very isolated, no shops, no public transport facilities and no proper road connecting the village to the outside world. 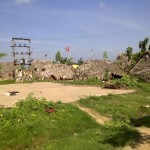 In the village there is a small government primary school and a balwadi but the most of kids now attend the Manamathi private English Medium that offer school bus facilities at reasonable price. For the others, if they wish to continue to go to school after 5th class, they are forced to walk 5 kilometers to the Manamathi secondary school unless the family can affor a bycicle. The government primary school was about to close three years ago, as the number of chldren was not enough to justify the cost of a teacher, when the local Comunist Party decided to offer a small plot of land to a bunch of Irula families rescued from slavery. 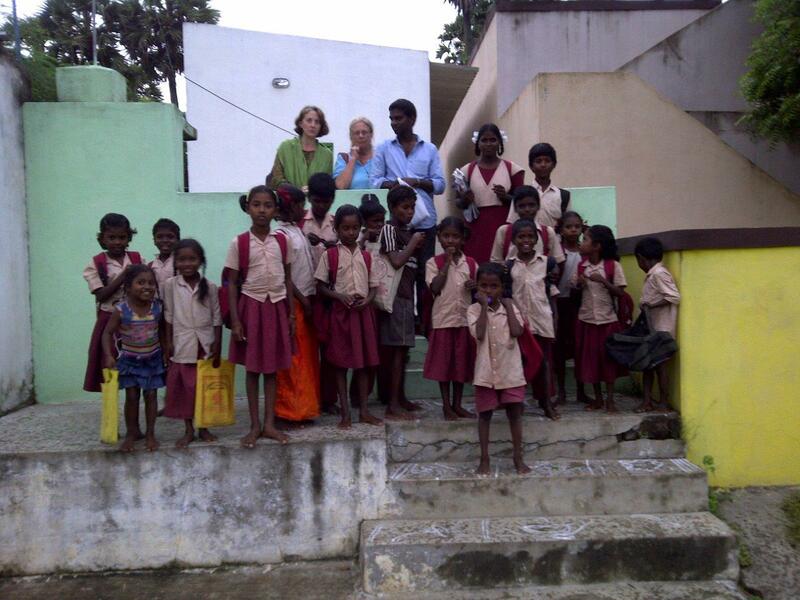 Now are the children of these families to keep the primary school alive: 31 kids out of 35 are Irula. 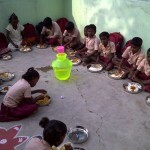 But is very difficult to convince these children to go to school regularly. 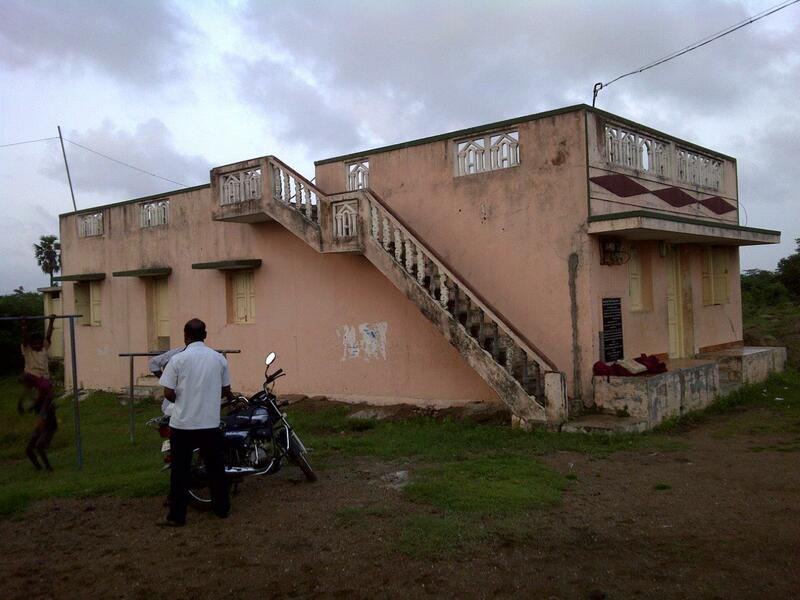 To offer the kids a little support, we decided to open a Tuition center for them. 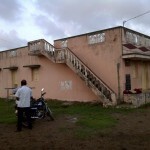 we found the place and the teacher and also organized a afternoon snack to every child that attend the Tuition. 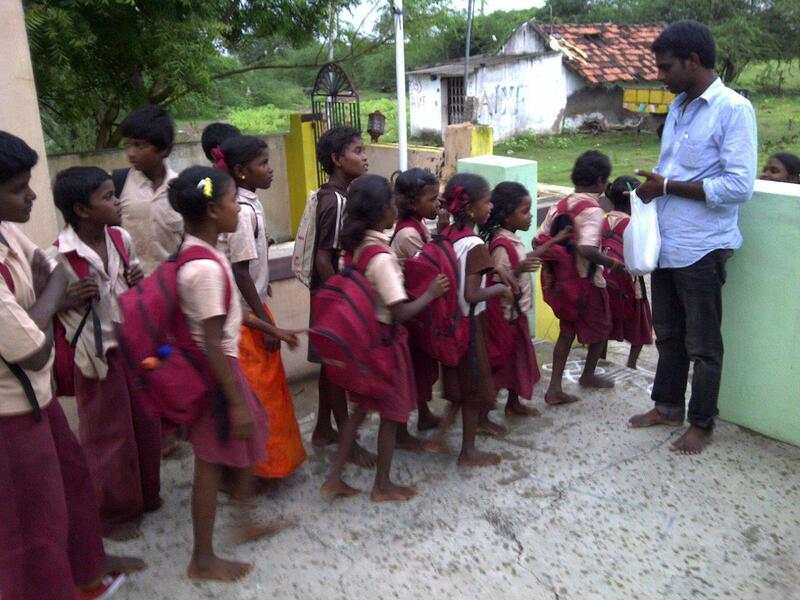 This entry was posted in Panjartheerthi village, Tuition Centers and tagged free education, help children, malar trust india on 03/02/2014 by fulvio.